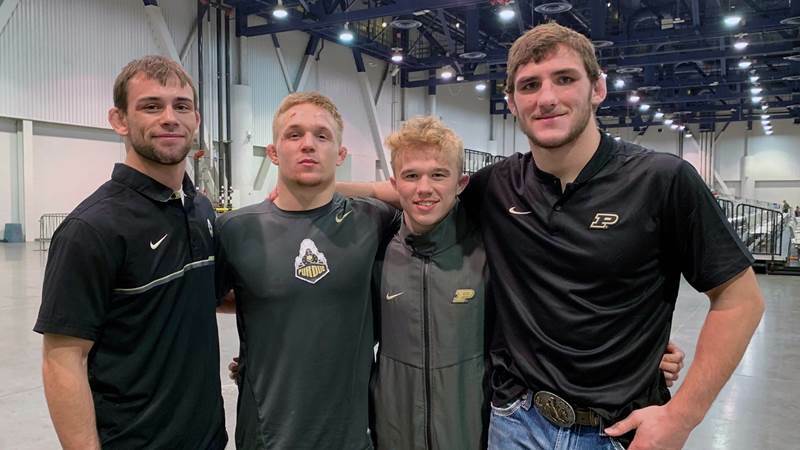 Griffin Parriott led the charge as Purdue placed four and recorded a top-10 finish in the team standings at the 37th annual Cliff Keen Las Vegas Collegiate Wrestling Invitational on Saturday. Devin Schroder (125), Dylan Lydy (174) and Christian Brunner (197) joined Parriott, the 157-pound runner-up, on the awards stand at the Las Vegas Convention Center. A high pace was established quickly in the 157-pound championship match with a takedown by No. 2 Ryan Deakin of Northwestern and an immediate reversal by Parriott. The pace remained high, but the reversal wound up as the only points the Boilermaker was able to put up, suffering an 8-2 loss. The finals result doesn’t take away from a stellar weekend by Parriott. Unranked and seeded eighth, he knocked out a pair of top-five seeds who are also ranked in the top 10 at 157. In the semifinals, a takedown with 32 seconds remaining in the third period propelled Parriott past No. 5 Taleb Rahmani of Pittsburgh for a 5-3 decision. Parriott’s other nationally regarded victim was Nebraska’s Tyler Berger in Friday night’s quarterfinals. He took out the top-seeded Husker in sudden victory 4-2. Parriott, who entered the tournament with just one match under his belt, put together five straight wins, the longest winning streak of his young career. “Many of Griffin’s struggles have been due to the fact he hasn’t had the mat time that we’ve wanted,” Ersland said. “He only had the one match coming in, so the thing I’m really excited about is that he had the chance to compete. He wrestled six matches and really got himself going. He has to feel good about that. The Boilermakers tallied 65.5 team points over the course of two days to finish 10th in the team standings. The point total and top-10 finish are the best since 2010 when Purdue tied for eighth with 68.5 points. It’s the third time since 2002 Purdue has had four placewinners at the tournament, the last occurrence coming in 2010. The most Boilermakers to place at the tournament was five in 2004. In the fifth-place match at 197, Brunner received a medical forfeit from Greg Bulsak of Clarion to place true to his seed while becoming Purdue’s first 197-pounder to place at the tournament since Braden Atwood was seventh in 2013. Top-seeded Kollin Moore of Ohio State defeated Brunner 22-11 in the semifinals, dropping the Boilermaker into the consolation semifinals. Virginia’s unseeded Jay Aiello then scored a 9-5 decision to hand Brunner his second loss of the tournament. The native of East Dundee, Illinois, finished with a 4-2 record, taking his junior mark to 8-4. Lydy won two matches Saturday before medically forfeiting his last two matches to place sixth at 174. He needed to win his first match of the day to secure a place on the podium and did so in dramatic fashion, defeating sixth-seeded Brandon Womack of Cornell 7-5 in the second sudden victory. The two were locked at 5-5 at the end of regulation. Both wrestlers successfully rode out their 30-second tiebreaker session to remain at 5-5. Nineteen seconds into the second tiebreaker, Lydy found his shot and scored the winning takedown. A Big Ten Conference matchup in the consolation quarterfinals saw the fifth-seeded Boilermaker defeat No. 10 Devin Skatzka of Minnesota 6-4. Lydy, ranked 13th nationally, went 5-1 in Vegas to push his season record to 14-3. With his sixth-place finish, he becomes the first Purdue wrestler to place in back-to-back Cliff Keen tournaments since Colton Salazar (157), Luke Manuel (174) and Logan Brown (197) in 2009 and 2010. A five-point second period was key to Schroder’s 11-7 win over No. 9 Gabe Townsell of Stanford, which secured a top-eight finish at 125 pounds. Unfortunately, a pair of Big Ten foes thwarted the No. 7 seed to push him into the seventh-place match. In the consolation quarterfinals, it was No. 6 Travis Piotrowski of Illinois taking a 5-3 decision from Schroder and he was edged 4-3 in the seventh-place match by Nebraska’s fifth-seeded Zeke Moisey. Two of Schroder’s three losses at the tournament came to 2018 All-Americans: Moisey and Ronnie Bresser of Oregon State in the quarterfinals. He now stands at 11-4 in his redshirt sophomore campaign. The next event on Purdue’s schedule is a trip to the Sunshine State for the South Beach Duals in Fort Lauderdale on Dec. 29 and 30. The Boilermakers will wrestle a pair of duals each day. They’ll open with their first-ever meeting with Utah Valley and then take on NC State. 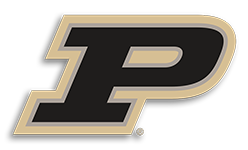 The following day they will square off against Missouri and West Virginia, a team Purdue hasn’t wrestled since 1954.